If you’ve followed my blog for almost any amount of time, you probably know that I love to make yummy treats! I also love to make them look pretty (it’s all about the presentation sometimes) but I also love things that taste good. You might also know that I love Wilton products. Several years ago I had the privilege of being able to fit a few cake decorating classes into my life and I learned so much and really grew to love the Wilton brand. 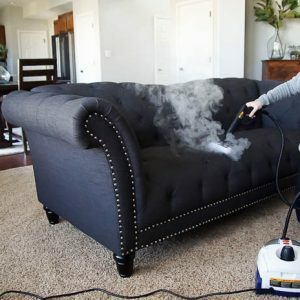 They always come out with great quality products, at good prices that are very user friendly. And I choose to buy many of their products because of these reasons. 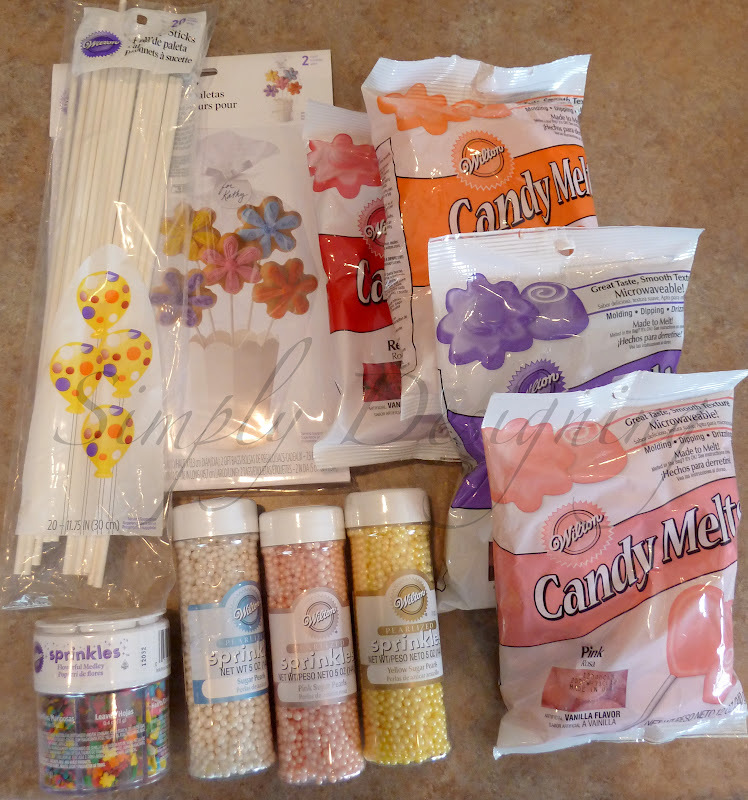 Wilton was so generous and sent me an amazing package a few weeks ago and I wanted to take today to show you a few of their great products! I will have several posts up on my blog today. And at the end of the day, I will be hosting a GIVEAWAY of the same package that I received!! Four bags of their amazing Candy Melts (you can see how much I love their candy melts here), their containers of the oh-so-cute Pearl Sprinkles, their Flowerful Medley Sprinkles, their Lollipop Sticks, their Pop Flower Pot Kit and their Pop! Sweets on a Stick book. 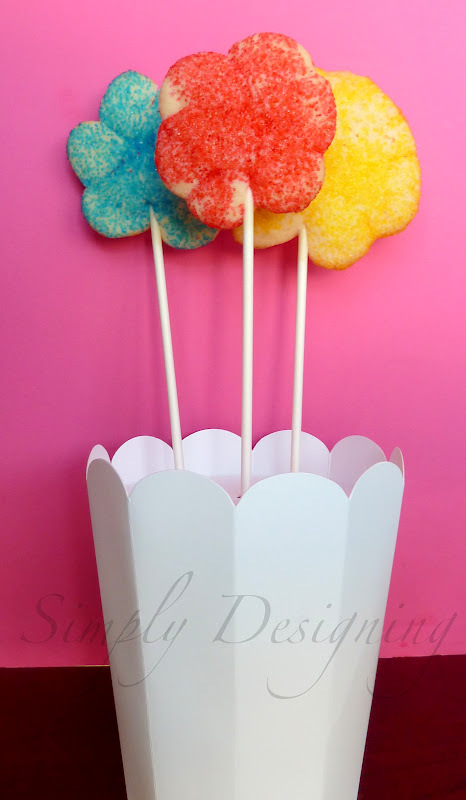 The first thing I want to show you is a very simple Flower Cookie Pop. These are so easy to make, cute, and tasty! 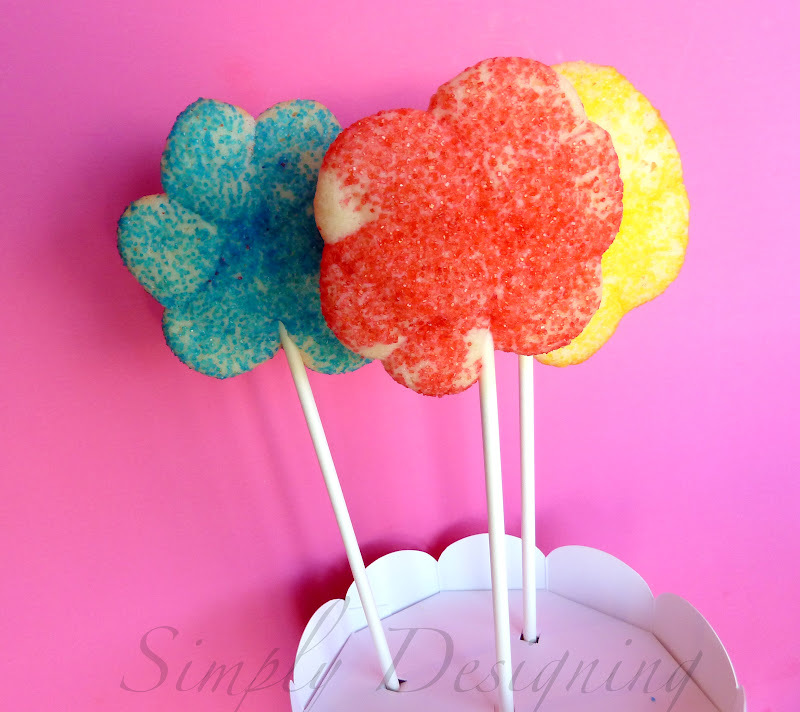 Wilton does make a flower cookie pop mold, but I decided to use a quick little trick to make my flower pops. They aren’t as perfectly formed, but they are fun to make with the kids. First you will mix up your sugar cookie mix (you can use a store bought mix, or make it from scratch. 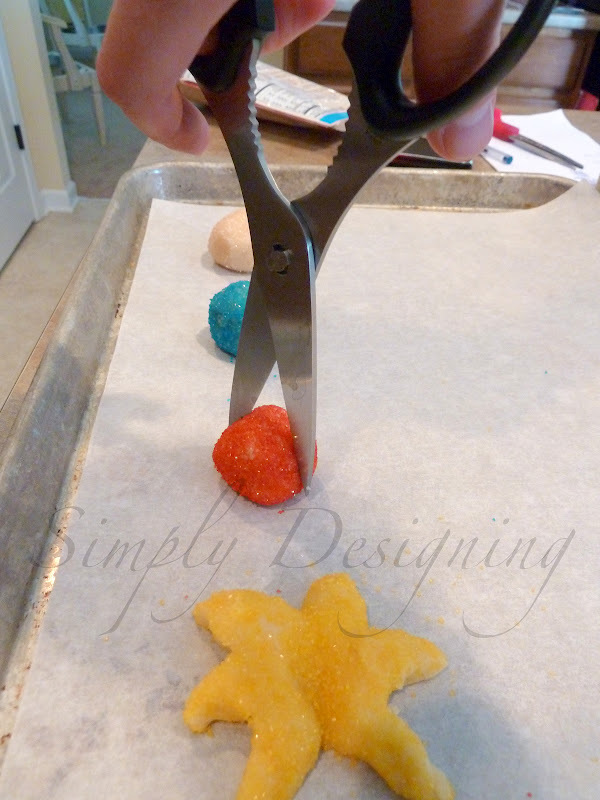 Then roll your dough into balls and cover with the sprinkles of your choice. Next, using your kitchen scissors, you will cut the ball in half, being careful not to cut all the way through to the bottom of the ball. Then cut in half, and then in half again. 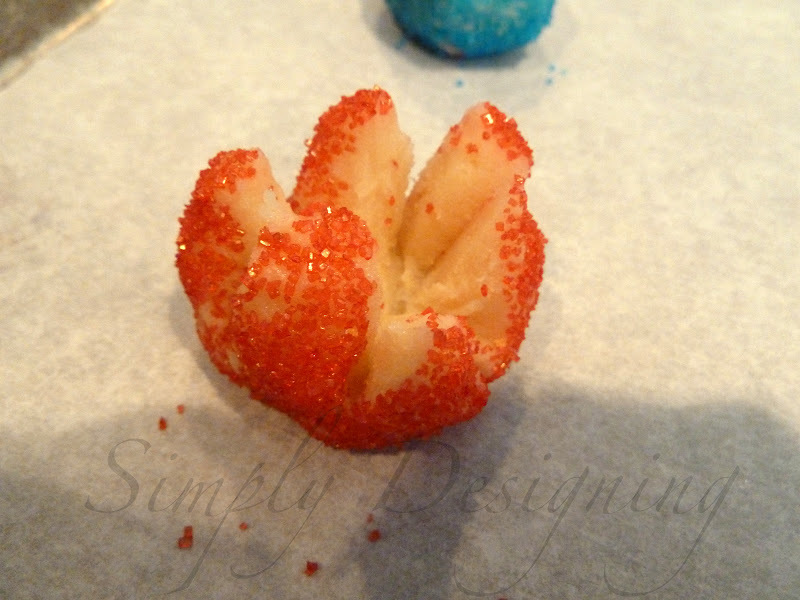 You will then spread the “petals” out and flip your ball over so the sprinkle side is facing up. I know it looks like a funny pointy star right now, but as it bakes the pointy petals will turn into soft flower shapes. Carefully insert a pop stick into the dough flower and cook according to cookie directions. And aren’t they just so cute in the Pop Flower Pot Kit!? 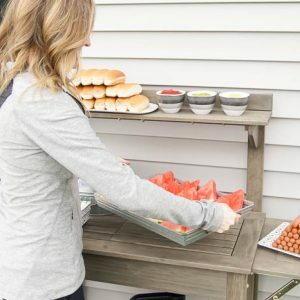 This pop stand can hold 5 pops and makes an amazing gift to give to friends or neighbors! I think I see the possibility of a great teacher gift in this! I found my idea for cutting the flower cookies here.